The Guatemalan Party of Labour was a communist party in Guatemala. It was one of the main forces of opposition to the various regimes that followed Arbenz's overthrow and became a constituent of the URNG guerrilla coalition. 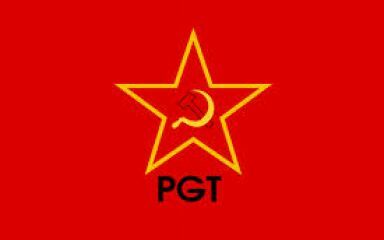 Guatemalan Party of Labour – Communist Party (PGT-PC) was formed in 1978 when split from the Guatemalan Party of Labour (PGT). Guatemalan Labor Party (PGT), also known as Partido Guatemalteco del Trabajo is an inactive group formed c. 1952.